Lincoln Certified. NAV, Heated Leather Seats, Sunroof, All Wheel Drive, Tow Hitch, Panoramic Roof, Turbo, WHEELS: 20 POLISHED ALUM W/EBONY PAI... CLASS II TRAILER TOW PACKAGE (3000 LB... THX II BRANDED AUDIO SOUND SYSTEM CLICK NOW! Leather Seats, Navigation, Sunroof, Panoramic Roof, All Wheel Drive, Power Liftgate, Heated Driver Seat, Cooled Driver Seat, Back-Up Camera, iPod/MP3 Input, Onboard Communications System, Remote Engine Start, Dual Zone A/C, Cross-Traffic Alert, Blind Spot Monitor Rear Spoiler, MP3 Player, Remote Trunk Release, Keyless Entry, Privacy Glass. LINCOLN MKC TECHNOLOGY PACKAGE Adaptive Cruise Control & Collision Warning, brake support, Active Park Assist, Forward Sensing System, Lane-Keeping System, WHEELS: 20 POLISHED ALUM W/EBONY PAINTED POCKETS Tires: P255/40R20, ENGINE: 2.3L GTDI I-4, THX II BRANDED AUDIO SOUND SYSTEM 14 speakers, HD Radio, LINCOLN MKC CLIMATE PACKAGE Heated Steering Wheel, Heated Rear-Seats, Rain-Sensing Wipers, Windshield Wiper De-Icer, Auto High Beams, CLASS II TRAILER TOW PACKAGE (3000 LBS) power converter 110V outlet and trailer sway control. 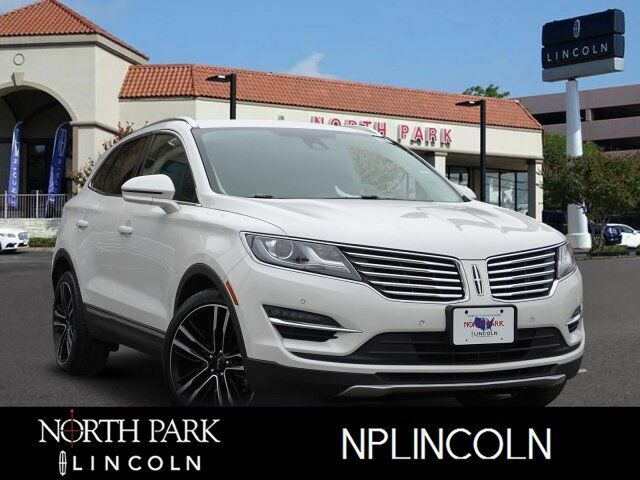 2017 Lincoln MKC with White Platinum Metallic Tri-Coat exterior and Hazelnut interior features a 4 Cylinder Engine with 285 HP at 5500 RPM*.